Q. 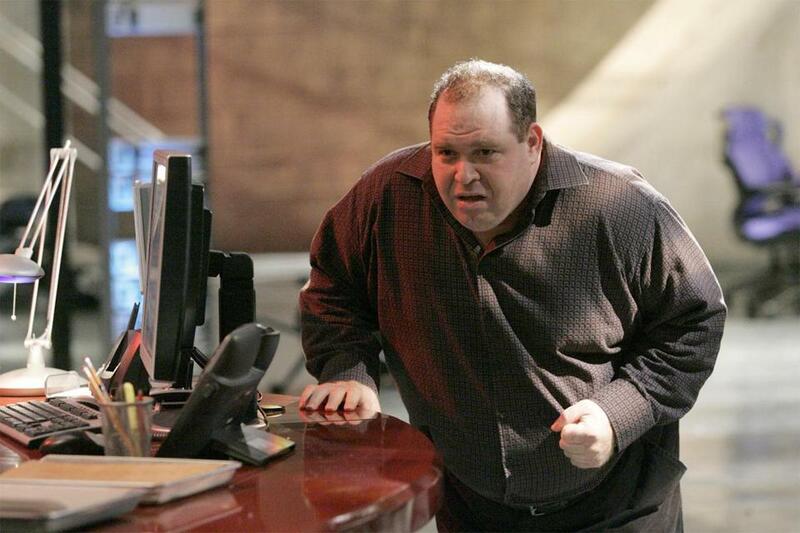 Do you have any memories of James Gandolfini, who died suddenly in Rome last week? A. He was a great guy who had a big part in putting me on that show. He was a real guy, not just a great actor, but a great person. I knew him before “Sopranos” and when I went in to read for the show, he was in there reading with me. I’m like, “Really?” This is the second season, when he was a big star. And I walked in to read and he was like, “I’ll read with you, Louie,” in front of [series creator] David Chase and all the writers. After I was done reading, he was like, “OK guys, how can’t you hire him?” — like in front of everyone in the room. I was like, oh my God. But as soon as I left the office, I went downstairs, they called me and gave me the role. We hung out years before. He came to my first movie screening. He was just as nice then as he was when he was the biggest star in the world. Put it this way: If we had more people like him, not just in Hollywood but in the world, this would be a better place. Respectable, classy gentleman. I got nothing but love and respect for James and by him putting me on that show, it kind of spiraled my career into a whole new direction. Q. How did your family dinners growing up in the Bronx play a role in your new business? A. I was brought up by all women. I learned cooking from being in the kitchen with my mother, my grandmother, my aunts. Cooking’s not just about eating food or whatever, it’s about passion. As much as the food is good, I believe that the strength of food is the camaraderie, you know, sitting around the dinner table, talking about stories. Even if you’re fighting and arguing, you’re still bonding around the dinner table. I think that’s what our country’s lacking these days. There’s no more family dinners. It’s like, “Here’s the McDonald’s, shut the [expletive] up, I worked all day.” And our kids have no one to release anything to, so they walk into their rooms, they play games, and they eat all this [junk] food that’s in front of them. Growing up, all we did is cook and sit around the table, 10, 20 of us every night, and that’s how you really bond with your friends and family. 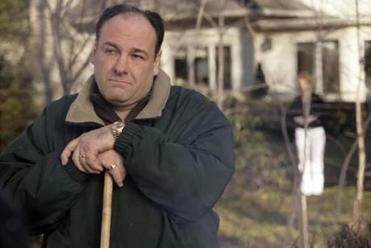 The late James Gandolfini made Tony Soprano into a specific man, worlds away from the fabled mobsters we’re more accustomed to finding in entertainment. Q. So you want your products to encourage family time? A. I want to show parents that you can cook a good meal in a half hour, quicker than it took you to go through that McDonald’s drive-through and poison your kid. What I want to show is how you can simplify making a meal for your family that’s still healthy and fun. My daughter is 7, I’ve been teaching her to cook since she was 4 or 5. She makes pizzas, knows the ingredients and everything. I’m always cooking with my daughter, and we love it, and we sit down together and we eat together, you know what I’m saying? People these days don’t even talk to their kids. I want it to be like, Lombardi’s food brings families back to the dinner table. It’s kind of my motto with the line. I want to get that across. Q. How does putting your name on a label work? Q. Did you ever cook for your old “Sopranos” cast members? A. I used to cook for everyone. Not just “Sopranos” [costars], I can go down the list. All these actors and they all started becoming famous one by one, you know? They would come to my house when we first got out to LA 20 years ago, I drove from the Bronx to Los Angeles, and I lived in a house with like 10 guys. Every single night, we didn’t have any money, so we would put in five bucks apiece and I would go to the store and I would show these guys how to shop. And then I would take it home and show them how to cook. It was almost like a TV show within a TV show. I’d be showing these five, 10 guys how to cook and then they’d be like, “If I give you 10 bucks, could you make this for me and put it in the freezer so I can have it all week?” And I was like, sure. So I found myself cooking for people who’d freeze it. So many people I’ve cooked for, [actor] Michael Rapaport, [country singer] LeAnn Rimes I used to cook for a lot. I would make her chicken Parm and she would leave it in her fridge. Interview was condensed and edited. Glenn Yoder can be reached at gyoder@globe.com.